Comments: I wanted to see the results using ISO 1600. The image is pretty noisy but I did capture a lot of signal in each sub-frame. My processing skills are not good enough to rid myself of all the noise yet. 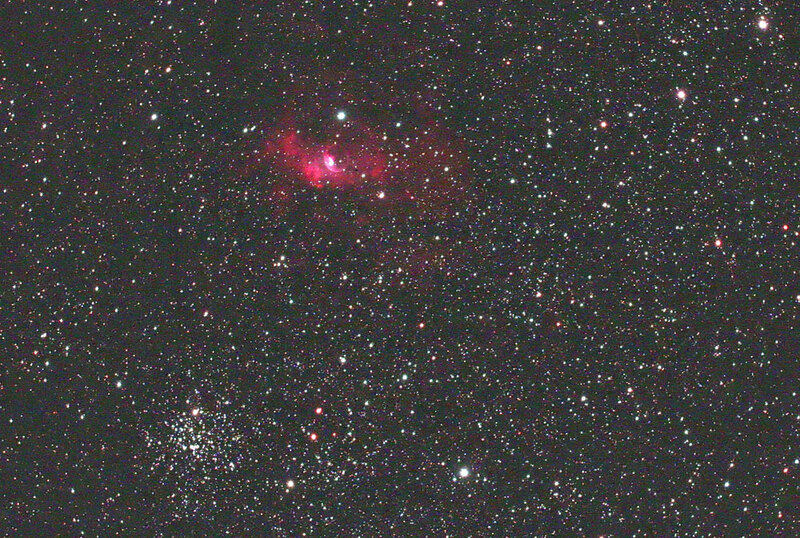 Note the open cluster M52 below the nebula.